Home > Reviewing Elementor: Does the WordPress plugin live up to the hype? If you work in web development or design, chances are you’ve already heard of it. 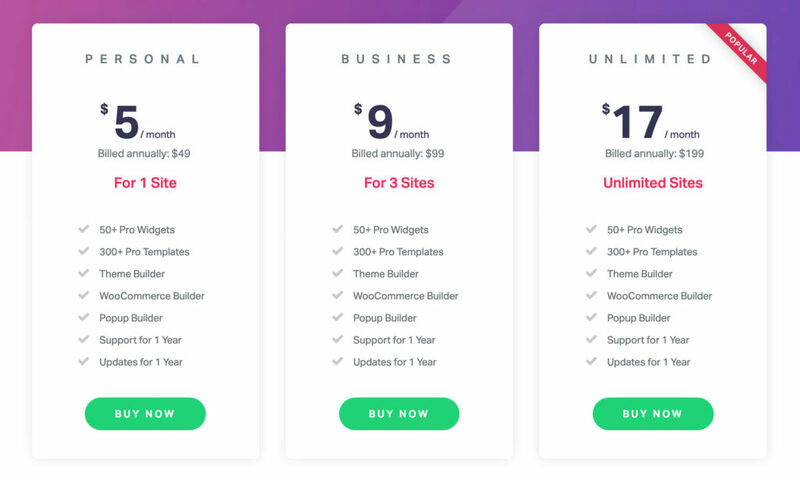 Advertised as the best instant drag & drop landing page builder, Elementor allows users to build high-end websites and landing pages in record time. The Elementor website brags that “it’s the easiest way to turn your thoughts and ideas into a live website.” They have to say that, though. Is the WordPress plug-in is as innovative and helpful as advertised? Let’s take a look. The first truly visual live form builder, Elementor makes high-end design achievable with easy to use UI. The plugin offers an intuitive approach to web design that’s as simple to execute as writing a blog post. The interface is user-friendly and easy to work with, making building a website feel more like an art project than a chore. Elementor replaces the WordPress editor with a live frontend editor so users can write and edit content directly on the live screen. See how your content looks as you create it! Elementor works on any WordPress theme and page. It doesn’t matter if you’re a law firm looking for a simpler web layout or a freelancer looking to showcase your portfolio. There’s a pre-designed, customizable template that suits your needs. Users have control over every single styling detail of a web page without having to write a single line of code. Elementor is advertised as the only design-oriented popup builder. Building popups that improve sales, leads, and conversions is as simple as building a page. Elementor offers pre-designed blocks, or section templates that can be added to any page. Any individual page can be comprised of however many blocks the designer see fit. At the time of writing, Elementor offers over 235 different blocks. They’re organized into 15 different categories, from Headers and Contacts to Testimonials and FAQs. These days, it’s all about being mobile responsive. Elementor Page Builder comes with a specialized tool set for creating superb mobile responsive websites. No need to worry about remembering to save your work. Elementor automatically saves all your inputs and allows you to revert to an older version of your work at any time. Users are free to try out different design options without worry. With Elementor, editing the header and footer of your website is easy and requires no coding. Elementor Canvas is a custom page template ideal for creating landing pages and coming soon pages. Users can remove headers and footers to design the entire page content in Elementor. Plus, it works with any WordPress theme. According to Elementor’s website, the page builder’s speed is unmatched by any other page builder on the market. Elementor is an open source page builder, designed to constantly be improved. Developers can create their own widgets and add custom CSS to any page element. Elementor pages are automatically compatible with RTL (right-to-left) web languages. All websites need constant upkeep and maintenance. When you need to do some routine maintenance, turn on Elementor’s free maintenance mode so administrators and visitors know the site is temporarily unavailable. It’s more than just a pretty page. Elementor is designed to streamline your marketing efforts. Professionals who want more site traffic, leads, social engagement, and conversions: take note. Elementor is on a roll. Or, shall we say, a scroll? 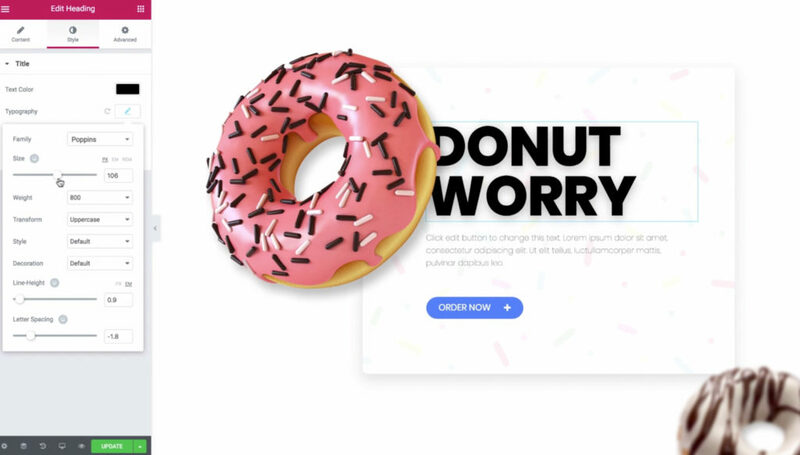 On March 26, 2019, Elementor launched Motion Effects, a toolset for adding transitions and animations to web designs. Before Motion Effects was released, Thrive Architect was the only WordPress page builder that allowed users to animate elements. No longer do developers have to use custom code to create animations or motion effects on their site. With Motion Effects, designers can build parallax scrolling effects on any background image or site element. Motion effects include vertical and horizontal scroll, Rotate animation, 3D tilt, and Mouse Track animation (in which site features move in relation to the direction of the site visitor’s mouse movement). This is great news for those looking to increase their website conversion rate. Adding unique animations and effects can capture the attention of your site’s visitors and attract more user interactions. Elementor offers both a free version and a premium version. The free version includes all the basic tools and widgets a user needs to design a beautiful website. For beginners looking to easily create a professional looking website, it’s hard to find a problem with Elementor. Even with the free version, users can create sleek, pixel-perfect web pages in record time. To some professionals, though, the product isn’t perfect. So far, Elementor doesn’t offer a tables widget option for product comparisons. Plus, other WordPress page builders like Thrive Architect and Beaver Builder support custom icon sets, but Elementor doesn’t. To most, this isn’t a big deal. But if you want to incorporate a specific icon set into your design (perhaps to showcase your company’s unique branding), you’re out of luck. There’s also no option for a one-time payment. Lots of people like to pay once and get it over with. But, as of now, the only payment option is month-by-month. These disadvantages are worth considering. That being said, Elementor is constantly rolling out improvements to their product. Bookmark their blog to stay up to date! So, does it live up to the hype? In short, yes. Elementor is an intuitive and progressive WordPress page builder. Its users spend less time and energy building web pages, so they can focus more on creating valuable content. Elementor has revolutionized Entermedia’s workflow. It’s not just helpful for developers, though. Whether you’re a professional web-developer or an artist creating a website to display your work, Elementor is a powerful tool that can help you execute your vision. We highly recommend it to anyone who wants to take their website to the next level.